Numbers nearly halved at Inverell this week, for a yarding of 1,206 head of cattle, following two very large yarding in the previous weeks. The yarding consisted of a large percentage of young cattle, along with a good supply of cows. The yarding of young cattle consisted of several pens of weaner cattle, however yearling steers and heifers made up majority of the numbers. Quality was mixed with a few more plain conditioned cattle through the sale, although there were several runs of well bred cattle in good 2 and 3 score condition. 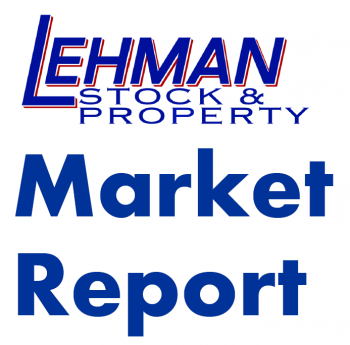 Overall, the market improved, with restocker and feeder buyers more active this week. Restocker weaner steers sold to a top of 262c for an average of 240c/kg. Feeder steers were 10c dearer, reaching 270c for an average of 267c, while restocker and background yearling steers sold from 120c to 272c/kg. Restocker and feeder heifers made from 136c to 240c to experience an increase of 10c to 12c/kg. The yarding of export cattle consisted mainly of cows, along with a small penning of grown steers and heifers. Grown steers sold to a top of 265c and heifers topped at 244c/kg. The yarding of cows was of mixed quality, with a large percentage of plain conditioned cows, however there were several pens of well finished 3 and 4 score cows through the sale. The market improved 6c to 10c, with very light cows making from 80c to 158c, as 2 scores averaged 167c, while majority of the medium weight 3 score cows sold for an average of 206c/kg. Heavy cows sold to a top of 219c/kg.